Sportingbet takes a significant position when it comes to the best online betting operators in the world. A complete Sportingbet overview shows that it is a reputable company with many positive features which give it a first-class touch. Sportingbet has a well-designed and user-friendly website, a wide selection of games to choose from, numerous promotions which have very favourable terms, effective payment methods and to sum it all very reliable customer services. Sportingbet endeavours to offer its players a thrilling gaming environment by providing excellent sports bet that has a touch of a live feeling and also, the best casino atmosphere. Be part of Sportingbet to enjoy a fantastic drift from your everyday routine into a world of a fascinating gaming experience. Sportingbet began its operations around 1998 and has since then kept rising to be among the most sought-after gaming operators in the world. The Sportingbet website is provided by ElectraWorks Limited which is has been given a license by the Gibraltar Government and is regulated by the Gibraltar Gambling Commissioner. It is, therefore, a reputable company with the legal right to operate. Sportingbet has a broad user base with above 700000 clients in about 26 countries. It has quite amazing products and features which include its Sportsbook, a casino, live casino and many other games available to every player both online and through mobile devices. What makes Sportingbet stand out from most other game operators is their sportsbook mobile betting app for both iOS and Android which has a great design and is ranked among the top 20 most sought-after apps. Sportingbet also has the Cash Out and the live betting options. Cash out helps to protect your winnings, reduce the chance of losses and add on the account balance without having to deposit. I have been using the Sportingbet Android mobile App, and I am fascinated by the first class design and the ease of navigating from one option to the next. The app loads fast, and I have not experienced any difficulties like crashing. I can place my bets comfortably from a mobile app and withdraw my winning without any issues. I signed up for the first time, and the process was quite fast and more uncomplicated than I expected. I loved the wide range of bookmaker payment options, but I settled for Skrill as it is my preferred method. Depositing money into my account using Skrill was quite fast, and I did not encounter any issues. I wanted to place a bet, and the Sportingbet Sportsbook had so much to offer I was spoilt for choice. I am a very pleased client. The Sportingbet customer service hours of operation are not precise, and at some time I tried to contact them, and I could not get help. I would suggest that they specify the operating hours of the customer support so that we as clients know when to contact them and when not to. Apart from this shortcoming, I enjoyed gaming at Sportingbet. There are various bonuses and promos at Sportingbet, and they are different for different games. Here is a list of some bonuses and promos. All members of the weekly club get £10 free bet every week when they bet 5*£5 between Sunday and Monday only on mobile. Players who have the most winning bets through the mobile app or site will get a £250 free bet monthly, and they must bet on a minimum of £5. A sign-up offer that requires a player to deposit a minimum of £10, place bets of up to £15 with odds of 1/1 (2.00) or higher and get up to free bets. If the bets are lost, a player gets up to back as a free bet. If you are looking for a bookmaker with a broad selection of odds and markets, then Sportingbet is the place to be. There is a range of markets to choose from whether it is football, tennis, volleyball or table tennis. Players are offered quite solid odd prices that are very competitive in the betting industry. The football markets at Sportingbet are the most diverse. The bets can be selected from selecting the outright winner of a match or betting on singe football matches. 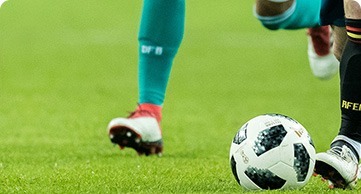 Odds within a single game can be placed to depending on a three-way win, a double win, number of goals, the winning scores and several other outcomes. Visit the Sportingbet website and sample odds and place the winning odds. Sportingbet live betting provides one of the most excellent betting experiences. This bookmaker offers in play betting with a reliable and variety of odds and markets. Sportingbet review shows that players have a wide selection of markets and sports to place live bets on. Some of the popular games available for live betting include football, tennis, and basketball. The live casino also offers a thrilling live betting experience. Players get to select the games of their choice and bet on the outcome of the game with the assistance of capable live dealers. The live casino has for a long time offered live betting experiences to players in Sportingbet. One key feature of every gaming operator is the maximum and minimum betting limits. It is important to set these limits to ensure players are betting responsibly and safely. Sportingbet has come up with a variety of socially responsible features and implemented them to ensure every player is gambling responsibly and not straining themselves financially. The minimum betting limit is given in an amount, and it is £0.50. Players cannot bet below this amount regardless of the sport. The maximum betting limit, on the other hand, depends on the game. Every sport has its maximum limit. There is, however, a limit of £250,000 on daily winnings. Every player is provided with a betting history to make sure their betting habits are safe and responsible. Sportingbet live streaming is offered across various sports. The live streaming option is found under the live betting tab in this website. Live streams are available for football matches from all parts of the globe, baseball, tennis, table tennis, volleyball, and cricket. All the upcoming events are highlighted and displayed for the client to select the most preferred option. The quality of live streams is high as it is supported by HD features and the sound system is clear to offer a player the best live stream experience. Live streams are available to all registered players, and they are free of charge as long as a player has a stable internet connection there will be no troubles encountered. Sportingbet has mobile betting apps available for both Android and iOS devices. These mobile apps are designed to offer players a fascinating betting experience. The apps load quickly and are safe and straightforward to use. Sportingbet has invested a lot in the mobile app betting, and the results are successful as their mobile betting apps are the 20th most common in the gambling industry. One of the outstanding features is the TouchID log in option which it does not require setting up passwords. There is also the INPLAY option that offers all the in-play betting. Besides, the horizontal scrolling feature allows easy access to your desired sports rapidly and without difficulty. Moreover, there is a quick bet option that will enable you to select and place your bets fast and efficiently. There is also an option of live streams that have to offer excellent clarity for viewers. Sportingbet has many options for payment available for deposits and withdrawals to all players, but some depend on a player’s country of residence. Sportingbet review shows that this gaming operator is highly rated when it comes to a variety of payment options. These payment options include MasterCard, Visa, PayPal, Skrill, Bank transfer, Maestro, NETELLER, ecoPayz, Paysafecard, Astropay, web pay, Instant Banking, Entropay, Diners club card, servipag, boleto bancario for users in Brazil and Giropay by Skrill. Sportingbet is unmatched when it comes to payment options. Clients are not charged any withdrawal fee regardless of the payment method they choose. All these methods have their minimum and maximum amounts of deposit and withdrawal. Some methods are available for either deposit or withdrawal only, and a client should, therefore, enquire if a method is available for deposits or withdrawals before settling on it. The statistics that are visible when live betting are really helpful. How would you rate Sportingbet?